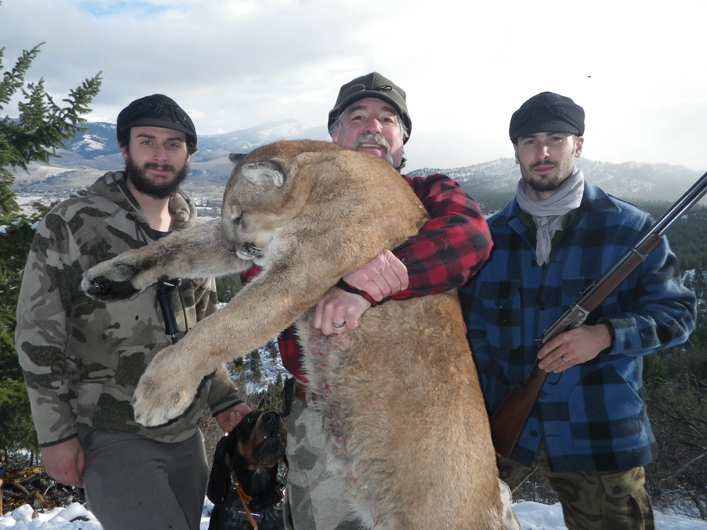 We offer professionally guided fair chase hunting in prime big game hunting areas of Montana. Our Montana hunting trips include Archery Elk hunting, Rifle Elk Hunting, Whitetail Deer hunting, Mule Deer Hunting, and Black Bear hunting. We also guide for special draw tag hunts, such as Mountain Lion, Bighorn Sheep, Mountain Goat, and Shiras Moose hunts. We offer professionally guided prime Big Game hunts. I'm native of Montana, born and raised in an Outfitting business. Our past records speak for themselves, as we have many return hunters. You call call and talk to them directly. My guides and I scout and shed hunt year round to ensure that you are hunting the best areas for trophy game animals. My Outfitting business is located in northwest Montana, right in the middle of God’s Country. I am a native of Montana, born and raised in an outfitting business. My guides and I work hard to insure you a top quality hunting experience. We scout and shed hunt to ensure that you are hunting the best areas for trophy game animals. We sincerely care about your hunt and prepare year round to insure you will be more than pleased with your Montana hunting trip of a lifetime. "The Chase with Leigh & Travis travels the world sharing camp with all types. This was an experience I will never forget. The beauty of Montana is not the only pictures in my head its the passion and beauty of the Carr Family is what will keep us coming back for years. True Montana Adventure! 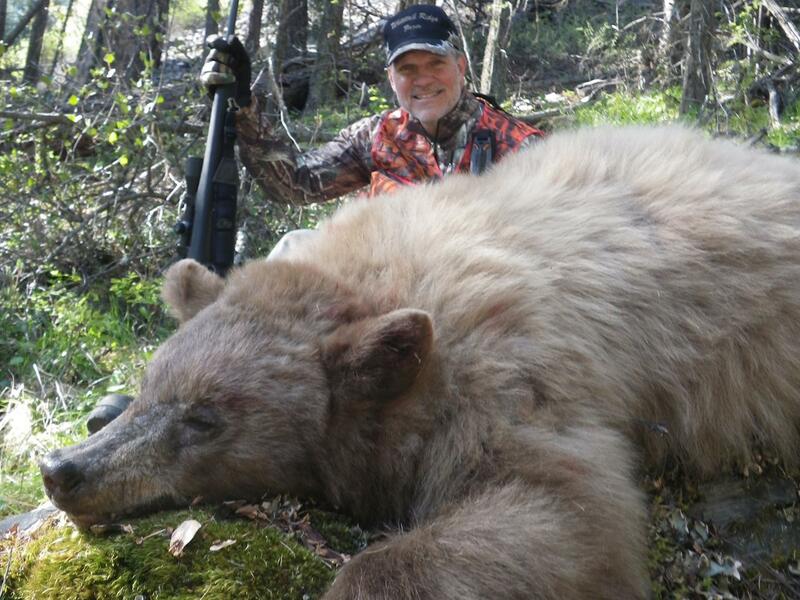 I shot my biggest bear to date and it was with a muzzleloader spot and stalk. Thanks Cody, KoLiss, Darren and everyone else that made it happen!" "Cody Carr’s Hunting Adventures is an exceptional outfitting business. All of the guides are extremely well knowledged in the areas where the hunts occur. The accommodations are also fantastic! I have been successful in 2 out of 3 hunts so far. 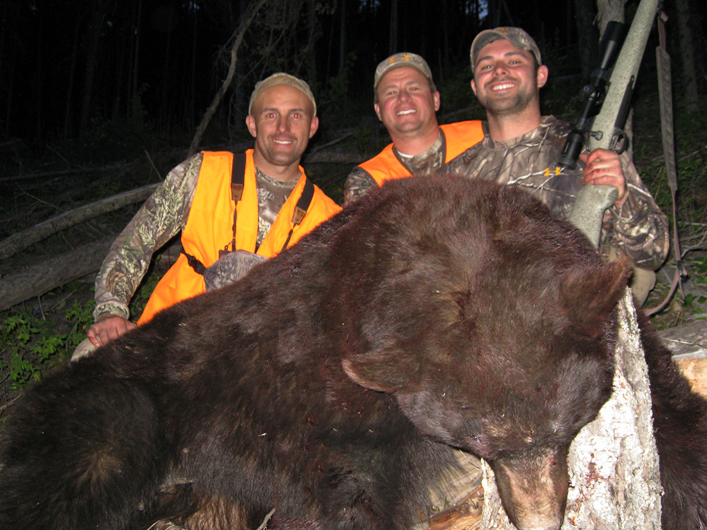 The spring 2015 bear hunt will be my fourth hunt with Cody Carr Hunting Adventures. Both of my sons have also experienced guided hunts with Cody Carr’s Hunting Adventure’s and our family has never been disappointed." "I Paul Snarski had a great!!! time!!! This is the second time I have hunted with Cody. The last time was a bear hunt. This trip was also a bear hunt and I harvested a bear each time. I will be returning over Thanksgiving week for a elk/deer hunt. I hunted in the state of Montana 15 times in the last 20 years with three different outfitters. I would rate Cody Carr Hunting Adventures at the top of my experiences." "I’ve been to Cody Carr’s about half a dozen times. Each time I have left with the trophy I came for. There’s tons of game, great people and amazing scenery. I’ve hunted enough places to know that Cody and his crew run a first-rate outfit. I’m constantly impressed by the professionalism displayed by all the people working to make my hunt a fantastic adventure. Cody will tailor your hunt to fit your goals and ability. That can mean spending your night’s miles deep in the wilderness in a spike camp, or coming back to the lodge to a warm bed every night. I’ve spent time with other outfitters that view clients as no more than a paycheck, their work is really done once you’re in camp. To Cody, you’re a hunter first… to be successful and enjoy your time off work is first and foremost. If I’m hunting the Rockies, I’m hunting with Cody Carr." "Cody, just wanted to let you know how much Pam and I enjoyed our time with you, your family and guides. The trip was hands down the best I have ever experienced. You and your family strengthened my faith. I thoroughly enjoyed every moment spent in the lodge with the group. If I get to build my retirement home it will look a lot like your lodge. Wow, how cool! With the accommodations and your wife’s cooking, it doesn’t get better than this! I can’t wait to share camp with you again this coming fall. Strange how I came out with the sole purpose to shoot a bear and left with so much more than what a dead bear could provide. Take care, Tom." "Looking for a GREAT HUNT??? You Should Choose Cody Carr hunting Adventure’s, Plains, Montana. We have hunted there three different times and had a great experience with lodging and excellent accommodations. We hunted bear, mule deer, and elk and was successful every hunt. It was mountainess terrain and they have great guides. Cody will go to any extent to make you successful on your hunt and they treat you like family. We are excited for our 4th trip that is planned for November." 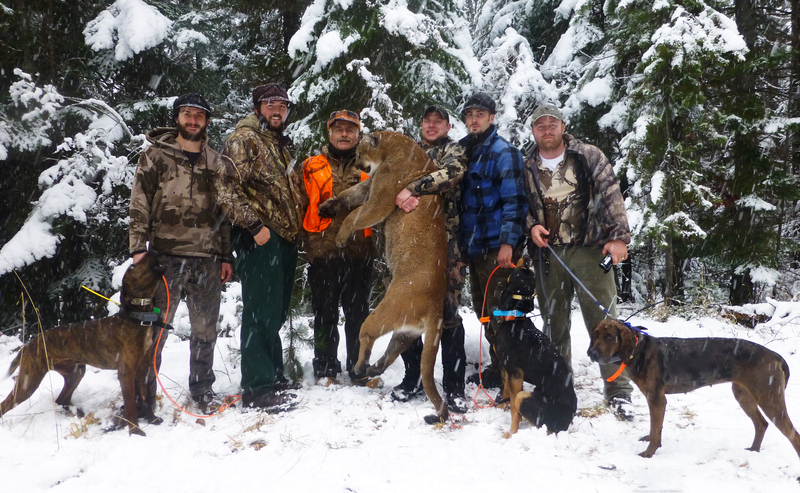 "I have had the opportunity to go on an Elk and Mountain Lion hunt with Cody Carr’s Hunting Adventure’s and both hunts were amazing experiences. From pick up to drop off at the airport, everyone involved worked extremely hard to make sure the trip was the best it could be. Cody and his family provide a very welcoming environment. The guides are well prepared and dedicated to the hunt. The lodge and meals provided went way above my expectations. I have already booked my next hunt with Cody Carr’s Hunting Adventures and plan to keep coming back as much as I am able to. The memories and friends I have made on these trips will truly last a lifetime."